Our firm has the litigation experience it takes for a positive outcome. Deportation (otherwise known as removal) occurs when the U.S. government legally removes a person from the country. 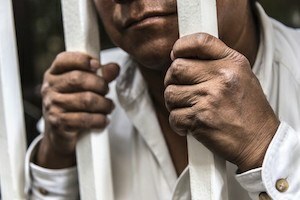 Immigrants who are in the United States with a valid Visa or Green Card can be deported for a variety of reasons, and this often excludes the individual from returning to the U.S. within five years from the date of deportation. Hiring the right immigration lawyer may be one of the most important decisions you make for yourself, your family, friends, and your employees. We have the experience, expertise, and commitment to work as your immigration lawyer. There are no amateur attorneys at Hilf & Hilf, PLC – only professionals that are guided by the humanity in the individuals we serve, and the drive not to settle for what is easy over what is right. We would like to meet with you and formulate a plan for your success. We can handle all of your immigration issues, including (but not limited to) deportation, immigration hearings, immigration trials, appeals, and immigration bonds. Contact us today for a free consultation or to learn more about how we can help you avoid deportation.